These items have been SOLD but are left on the web site for your enjoyment! A very unique Grand Army of the Republic item! This is a book mark with the likeness of Teddy Roosevelt. 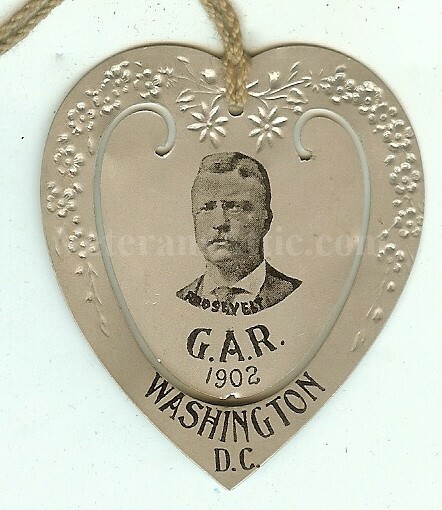 Written on the book mark is "G.A.R. - 1902 - Washington, D.C.". The book mark is approximately 2 1/4 inches by 2 inches. A small cord is attached to the book mark. 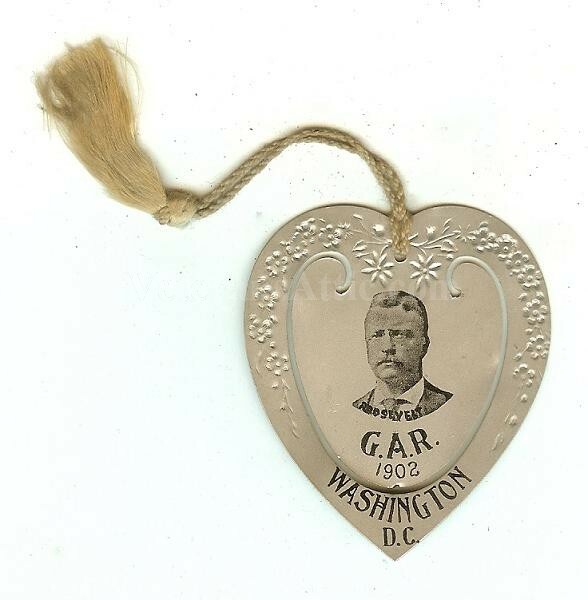 Really neat GAR item with Teddy Roosevelt!